Pretty boxes, right? These pink boxes are the newly-released packaging of Althea where our beauty hauls will be enclosed in for shoppers who purchase today onwards. I received mine a couple of weeks ago and I've been itching to share with all of you just how cute and adorbs it is! 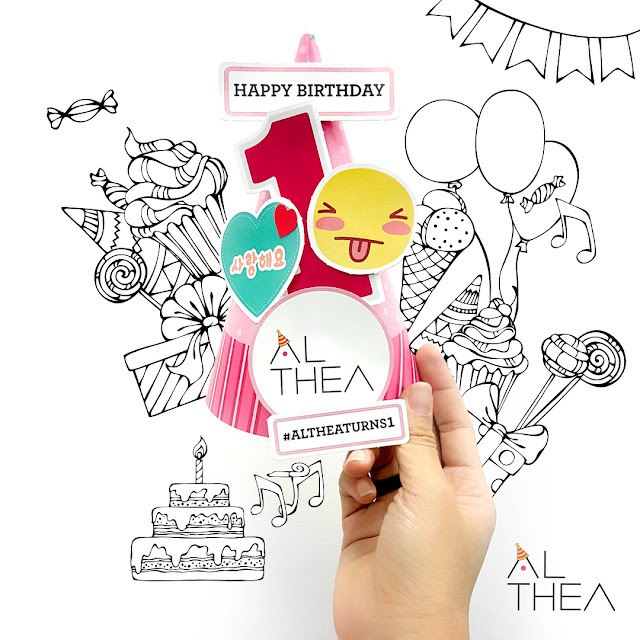 Show off your Althea Birthday Party Kit and wish Althea a Happy Birthday with the hashtag #altheaturns1 on Instagram! With a total worth of KRW10,000,000 to be won! New to the site? 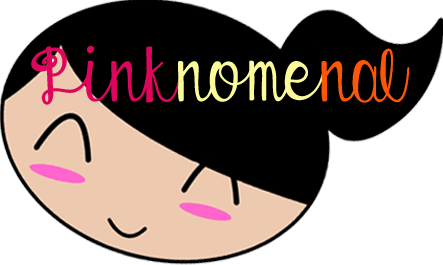 Register and get automatic P150 credits to get you started! Sounds easy, right? 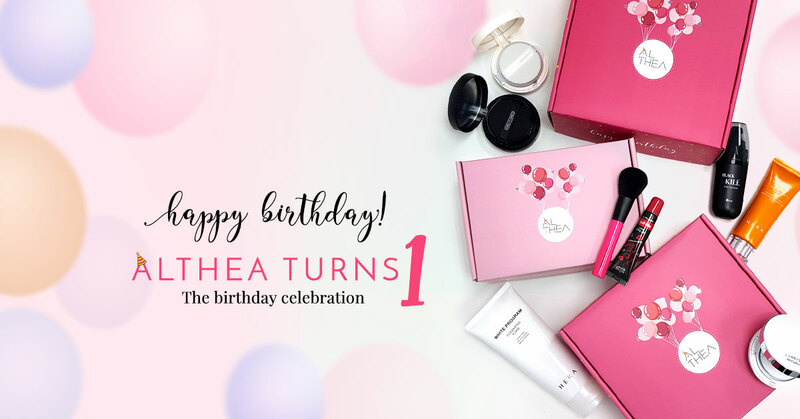 Well, better head on to Althea Philippines, shop and get started! Happy Birthday Althea! Wow, so nice naman the prizes! Really makes for a fun celebration. Wow, what a grand way to celebrate their birthday. The prices are so good, very tempting to join. I'd really love to check out Althea soon. I'm just too focused on buying stuff for our upcoming baby now but I'll go back to buying stuff for myself once I give birth. Haha! Hope Althea will still have great promos then. Wow saya! Happy birthday talaga Althea, what a big blowout! Thank you for sharing this amazing event! Really big prizes! :) Happy first to Althea! I love the birthday box! It's so attractive. 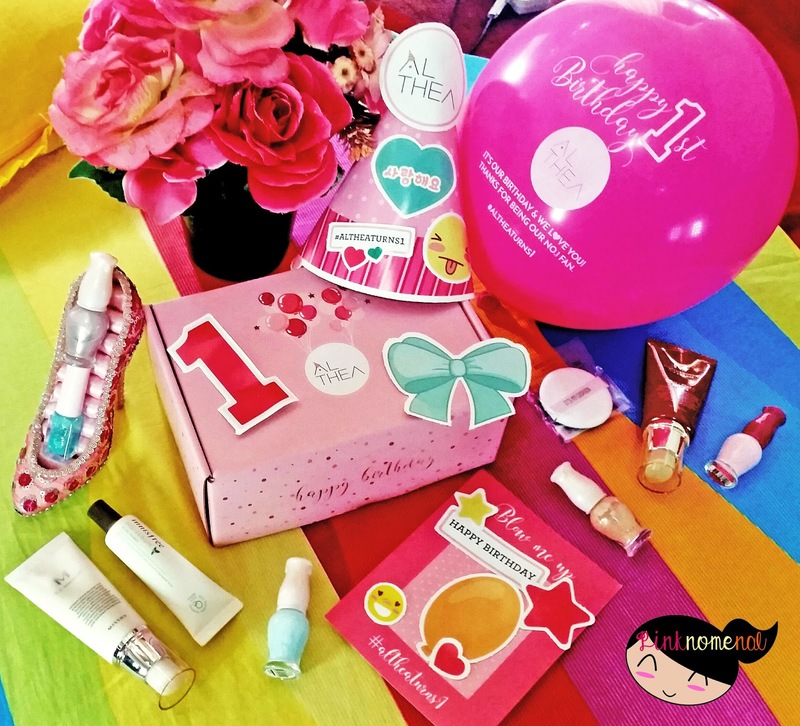 I'm so outdated with beauty products, grabe! 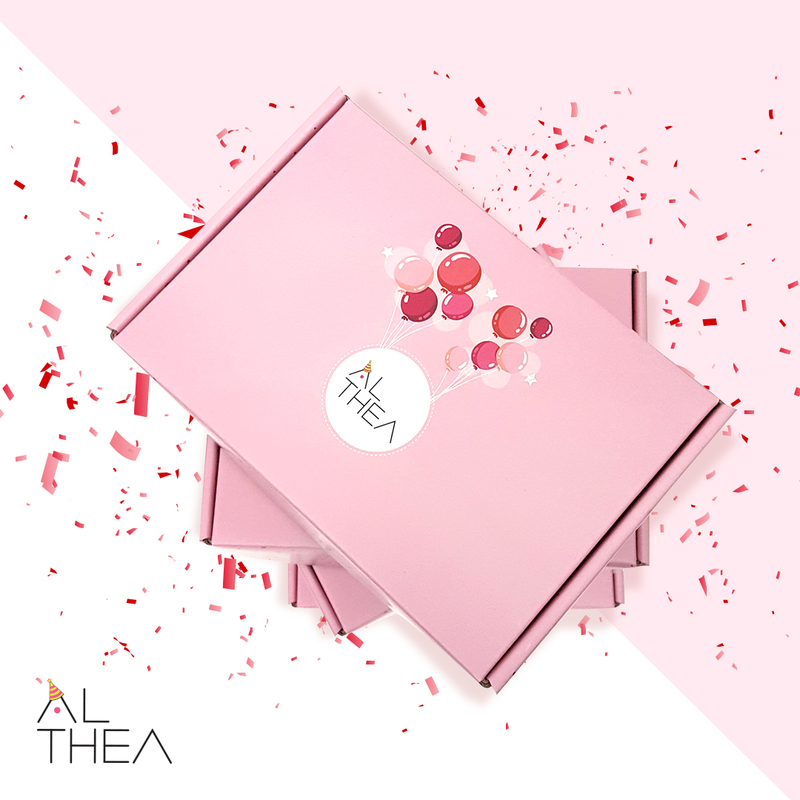 But I've heard of Althea and the beautiful pink box surprise as I've seen other blogs on it. How very interesting. I'm not a make up junkie. 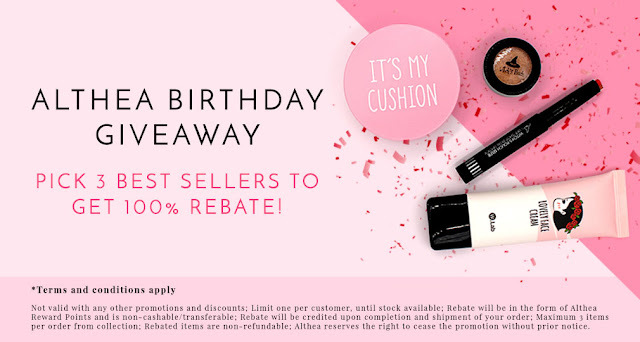 But I tried Althea once and I must say, without bias that they have amazing products. Plus, the shipping was fast despite arriving straight from Korea to my house And love the fact that the products are authentic and actually cheaper than those offered from local stores!